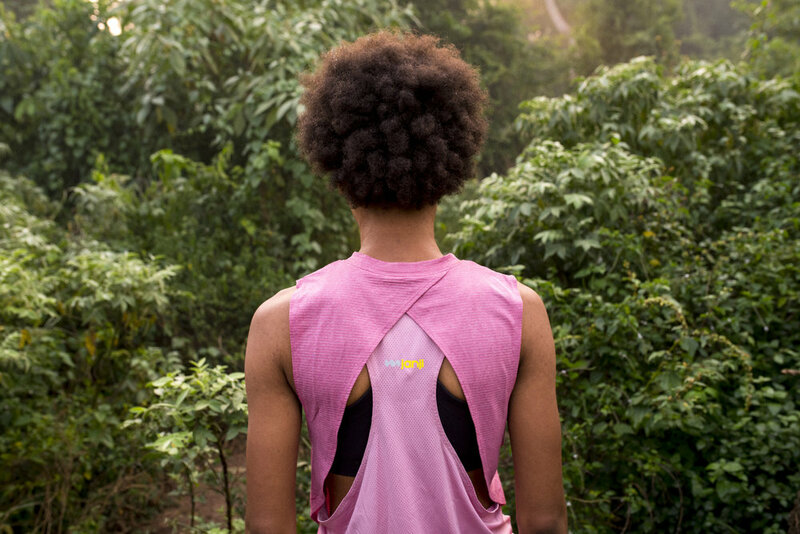 Boston-based brand Janji was founded in 2012 with the vision to create high-quality running apparel while addressing the world water crisis. Their efforts are guided by a simple but powerful mantra; "Run for another". We met with founders Mike Burnstein and David Spandorfer in a conversation about discovery, travel, running and making an difference in the world. What are the core values behind Janji? What makes it a unique brand? At Janji we really see running as more than an exercise over a time and distance. We see it as a way to connect with and interact with the world around us. We've gotten to know some of our close friends and loved ones through running, and we've also gotten to know and experience new places through running. It is for those reasons that we feel extremely grateful for the opportunity to use our bodies to run. 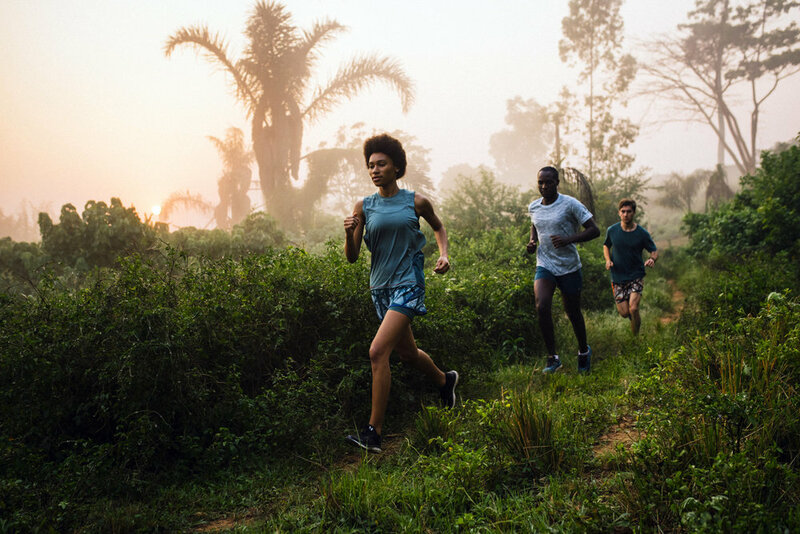 This gratitude inspired us to use the sport to give back, so we donate 5% of all revenue from Janji sales directly towards clean water programs around the world. 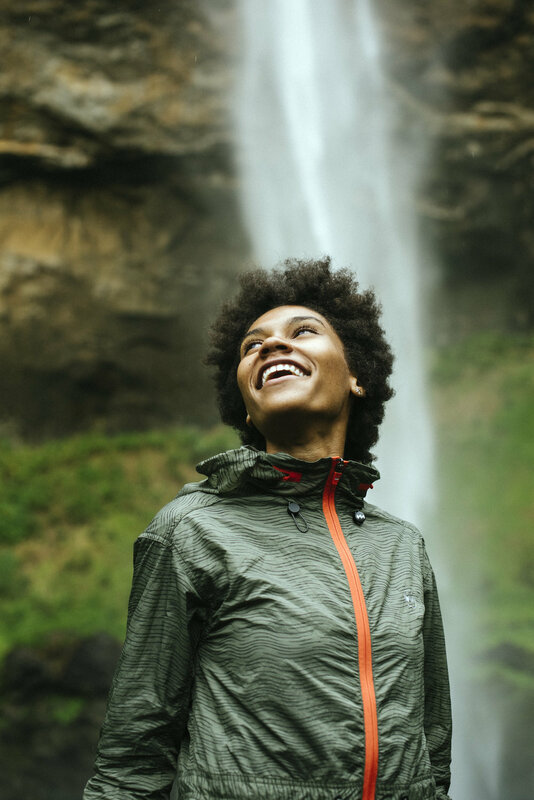 We hope our brand can lead to a healthier, more connected world. – Janji was born on a bus ride back from a track meet in college. I was sitting with my training partner and teammate Dave Spandorfer and we were coming off this brutally hot day in Ohio where we had raced the 10k. We were reminiscing about the race and our gratitude for the opportunity and the community of teammates around us. It was then we decided it would be cool to start something in the running world where we could use the sport we love to make a difference. They were handing out cups of clean water to us runners as we suffered through 25 laps, and we knew we wouldn't have made it through the race without it. It made perfect sense for us to support clean water programs with our future company. That was now 8 years ago. I know that a big part of what you do has to do not only with comfort and aesthetics, but also with helping others. Could you talk more about the social aspect of your brand? 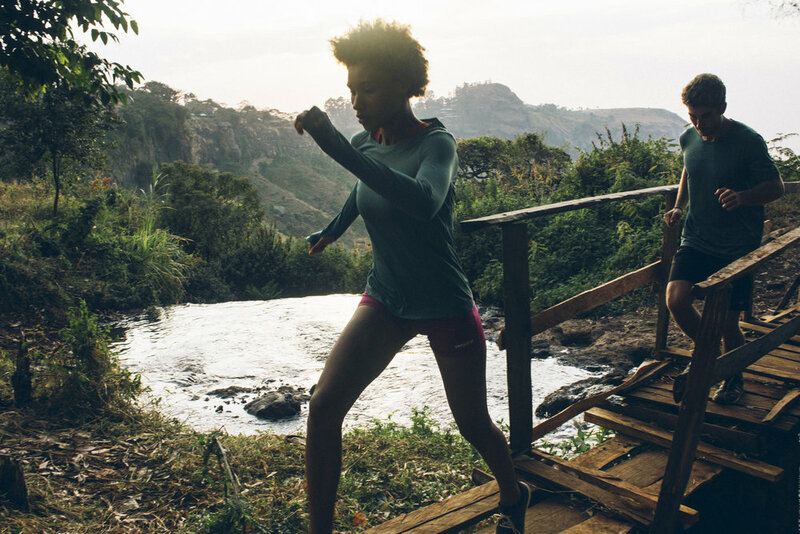 – At Janji we're passionate about addressing the global water crisis through running. We focus on water because its such a critical component for us in doing what we love: move, run and explore. We're blessed to live in a place with easy access to drinking water, but for almost a billion people that is not the case. 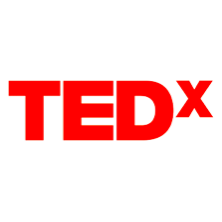 There are some really exciting solutions out there that help open up access to clean water and sanitation to people who don't have it, and there is a lot of data that says that clean water is a critical component in eliminating poverty, increasing education and in general, transforming lives. Fortunately, solutions do exist and oftentimes the biggest road block is simply money. This is why we donate 5% of all of our revenue at Janji directly towards clean water programs in the different places we visit. We partner with the best organizations in the world who provide localized sustainable solutions around water. Our hope is that we not only can impact lives through the money we invest in clean water, but also by educating our audience around the issue of clean water and why its so important. We hope we can inspire more people to care about what is such a critical issue in our world, as well as more brands to use their platform to create positive social change. After all, we're all in this together. How do travel, discovery and running relate to each other? We have always found that running is our favorite way to get to know a new place. There is nothing like waking up in a new place and the giddy excitement of lacing up your running shoes knowing that you are about to experience kilometers of newness. There is something really inspiring about travel and new experiences. I think everyone knows the feeling of self-realization and perspective and renewed passion that can come from a trip. That feeling is why we decided to base our Janji design collections after new places every season. We visit a new place, experience a new culture and make new friends. Those factors make their way into that collection. 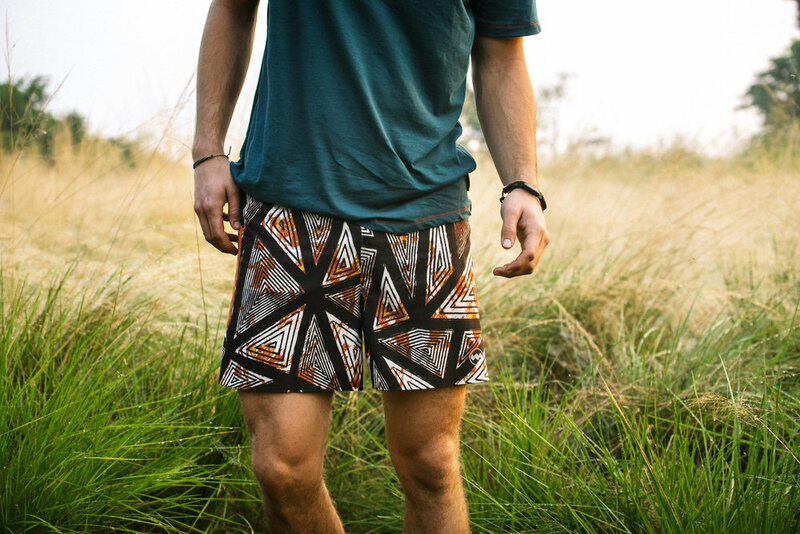 The current season we have out now is our Uganda collection. When you are working on a new collection, what are your main considerations? What does the creative process look like? We really try to make gear that lies at the intersection of running and travel. We imagine our customers packing lightly and carefully choosing what makes sense for the adventure ahead, and we try to make product that suits their needs. We also pull in a wide range of color and graphic inspiration from the region we are focusing on including landscapes, wildlife, architecture and more. When possible we collaborate with local designers for our graphics and local artisans for fabric. Its a really fun process of starting from scratch each season and trying to make something unique from anything you see from other brands that represents our experience in this new place. How do you relate to Aire Libre? Tell us a bit about the relationship between both brands and your upcoming projects together. We feel a strong kinship with Aire Libre. I met Mau at the Boston Marathon and immediately felt a strong connection. The parallels between the two companies are undeniable as we both see running as a form of exploration and connection. We all truly believe in their mission of providing cultural experiences through running. What are you currently working on? What can we expect from Janji in the near future? As a very small company we are always extremely busy. Right now we are focused on our Fall/Winter Line. The country is still a secret, but I'll give you a hint that it is in the Americas. We're also prepping for our second running retreat with the Aire Libre in Oaxaca, Mexico in August. Can't wait. Where can we find Janji gear? Are you currently focused on a US market only? If so, any plans to expand? Janji is sold in about 100 running boutiques around the US as well as on our website www.runjanji.com. We do ship internationally to Mexico and Canada. If you are ever in Boston come visit our Homebase in Somerville.